With this much fake bread lying around, you could most likely understand why I’ve been thinking about French toast. And, when you live in New York, you must do brunch on the weekends or I think they kick you out. So, it being (at least in my mind) Saturday, close to noon, and with three loaves of pre-sliced bread at my fingertips, I had at it. 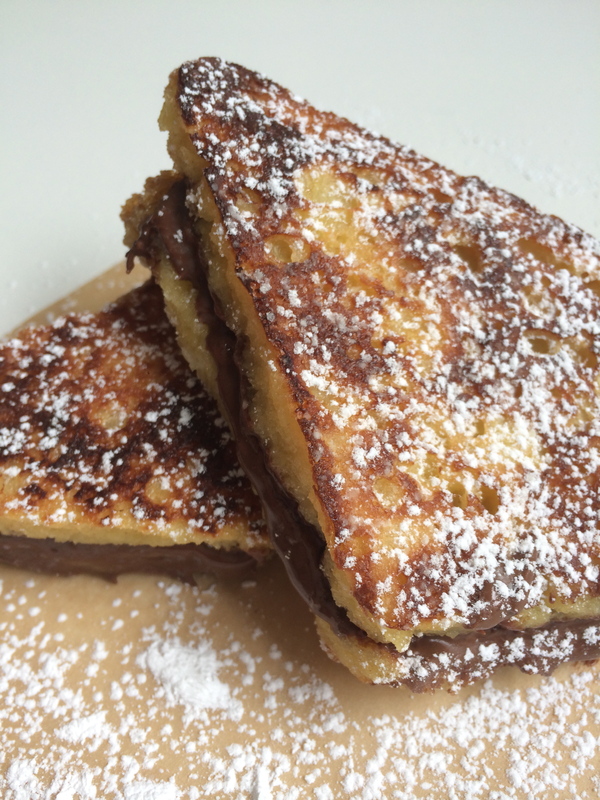 Warm, gooey Nutella and French Toast. What’s not to love? Cut each piece of bread into 4 triangles by slicing diagonally. In a medium bowl, wisk together the eggs and sugar until well combined. Wisk in the heavy cream, vanilla, and salt. Put the bread pieces in the bowl and press down gently to make sure they are all soaked. Heat a non-stick skillet over medium. Melt 1 Tbsp of the butter onto the skillet and quickly add the bread pieces in one layer. (Depending on the size of your skillet, you may need to cook the bread in two batches.) Cook until nicely browned, about two minutes. Turn each piece over with a spatula and cook the other side until nicely browned, about 1 ½ minutes. Transfer the cooked bread to a paper towel lined plate. Melt the other Tbsp of butter on the skillet and repeat the process with the remaining bread. While this second batch of bread is cooking, spread nutella onto the cooked, warm pieces of bread. Top with a bread triangle from the second batch when it is finished cooking. (If the bottoms feel cold, turn the heat off of the skillet, put the sandwiches cold side down onto it, and let them rewarm for a minute.) 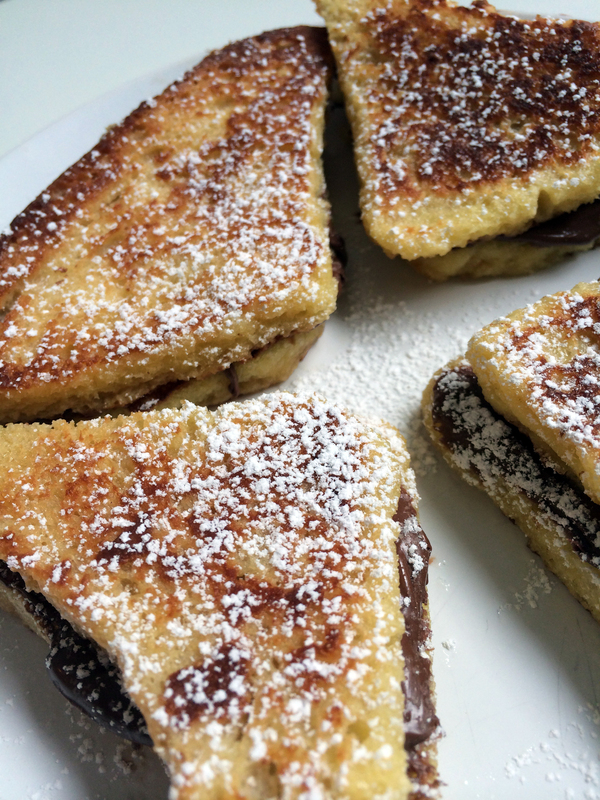 Put the French Toast triangle sandwiches on a plate and dust with powdered sugar. Serve warm. Cream in any recipe is a treat that’s twice as delectable as the one without it.